Natural England opens-up seabed datasets – Open Data Aha! Following the Secretary of State’s announcement in June 2015 that Defra would become an open, data driven organisation we have been working hard at Natural England to start unlocking our rich collection of data. We have opened up 71 data sets, our first contribution to the #OpenDefra challenge to release 8000 sets of data by June 2016. The data is primarily marine data which we commissioned to help identify marine protected areas (MPAs) and monitor their condition. The data is available for download on the EMODnet Seabed Habitats website under the Open Government Licence and more information about the data can be found at DATA.GOV.UK. Throughout 2016 we will be opening up lots more of our data, from species records to data from aerial surveys. We’d like to know what you think of our data; please take a look and let us know what you think at OpenData@naturalengland.org.uk. 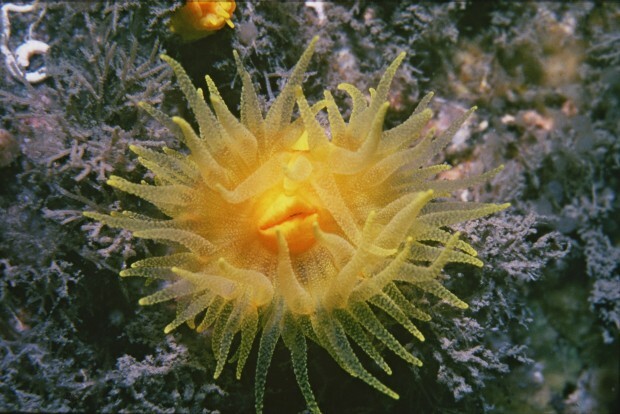 Image: Sea anemone (sunset cup-coral), Copyright (CC by-nc-nd 2.0) Natural England/Roger Mitchell 1978.